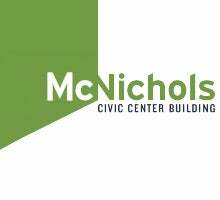 Please join us at McNichols Civic Center Building on Sept. 20, 6-9 p.m. for our next installment of the McNichols Project. McNichols Project: ICON celebrates the opening of our two fall exhibitions: Street Art Ink: From the Body to the Wall and Light in All Darkness: Images and Icons from William Hart McNichols. The evening will lead you to investigate the intersection of iconography, from religious and secular imagery to the very personal expression of body art and tattoos. Youth On Record opens their 10-year anniversary exhibition this evening as well, and one of their graduating fellows will provide musical entertainment. Catering by Adobo and Relish; lighting décor by Highlights and Amora Group. This event is FREE, but an RSVP is requested.